January | 2012 | Ipoh Mali Talak Sombong! Happy New Year to you! How was your Christmas and New Year celebration? 2011 marked my first time throwing a Christmas Eve dinner – preparations were ok, but it turned out a little bit chaotic when the guests starts arriving but we managed to pull it off. Last year, I made a resolution to increase my postings but it seems that I failed to achieve that. But anyway, here’s my first posting for 2012, with the new layout. Trip to Singapore has becoming more and more frequent for me, thanks to the affordable air fares by Jetstar/Tiger Airways/AirAsia etc. It is a good opportunity for me to meet and catch up with my friends who are working and staying there, as well as exploring what Singapore has to offer on the menu too. Singaporean friends knew that I write about food, so they took great effort to bring me around for a good meal whenever I goes down to the Merlion City. 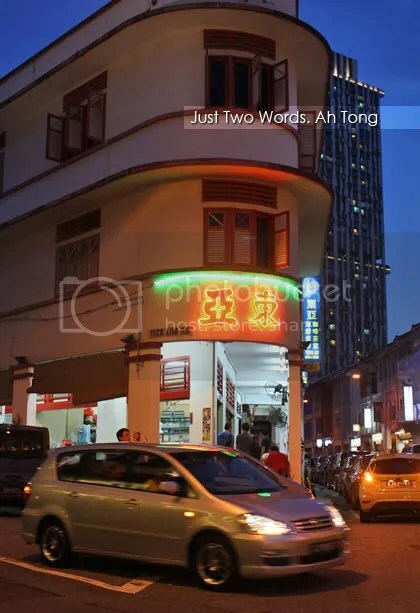 With that in mind, I found myself standing in front of a charming colonial corner shoplot in Chinatown called Tong Ah (not Ah Tong, as I initially thought. Pardon the label on the picture). Mr. D insist that I have to try this: Coffee Spare Ribs (again, pardon the label on the picture, I’m just too lazy to re-edit a new one). Now, this is new to me… I’ve heard about Coke Chicken before (rumour has it that it was invented in Hong Kong, anyone can confirm this?) but I have not tried it before. So, how does the Coffee Spare Ribs tastes like? 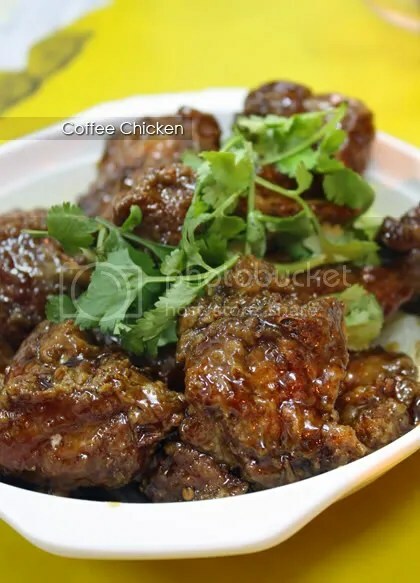 I would say it’s like a cross in between Marmite Chicken and “pai kuat wong” (spare ribs in dark, sticky sauce). The sticky, caramelized coffee sauce has a good coffee aroma and not bitter, but the spare ribs were kinda tough, though. Nevertheless, interesting try. 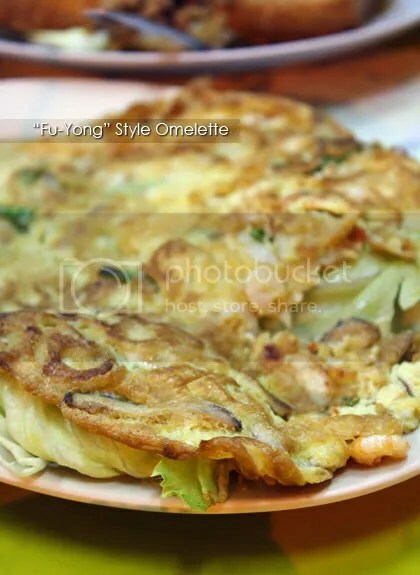 In between eggs and green veggie, we succumbed to the temptation of “fu yong dan” (Fu Yong-style omelette). Loaded with small prawns, chopped onions, sliced Chinese mushroom and spring onion, this was rather ordinary, but delectable nonetheless. 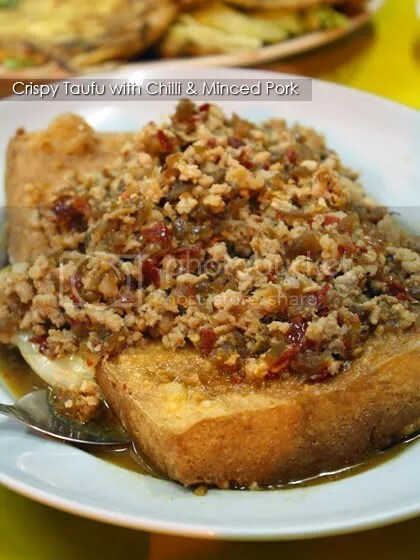 On the other hand, their deep fried beancurd with minced pork and chilli was good – silky-smooth homemade beancurd brimming with egg-y aroma and topped with loads of chillied-minced pork and in-house special gravy, this was a great accompaniment with white rice. And there are more meat for the carnivores! 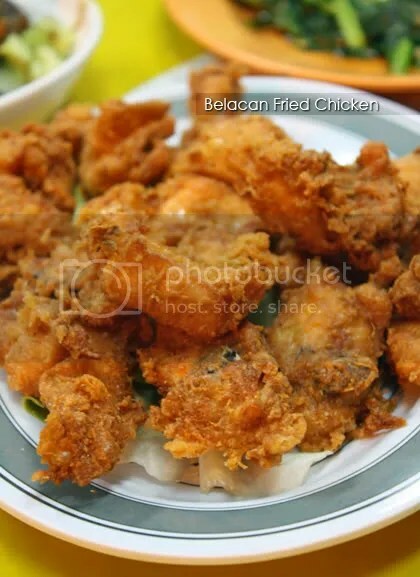 Belacan Fried Chicken smells really good but it lacks the pungent belacan taste to it, perhaps more belacan would make a difference to the dish. 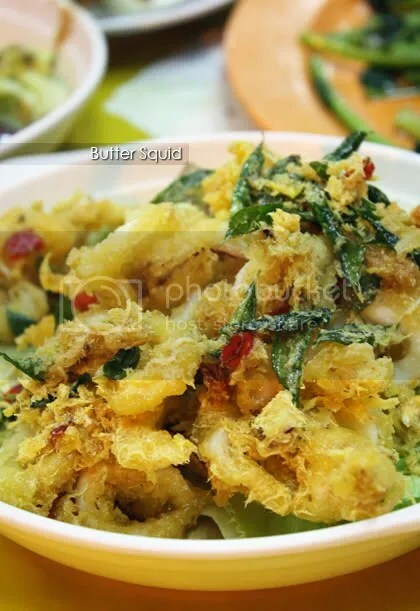 And lastly, dry Butter Squid with thin butter/margarine-based batter encasing the squids. A pretty decent dish without the heavy use of butter/margarine – allows you to taste the squid without being overwhelmed by the batter.